This 2-day seminar explores how—through better understanding the beliefs and programs of family and ancestors—we can free ourselves from various obligations and duties that were never ours. • formulate a new sense of identity and direction in life based on your our own true goals and aspirations. • direct your attention within and let go of family related beliefs that no longer serve you. • come to better know, recognize and accept yourself in order to lead a freer existence. • become able to more completely love and accept yourself. You will experience a comprehensive, genetically focused clearing in this class. You will find issues that will surprise you. This seminar applies the basic tools of ThetaHealing to address a host of issues related to family and a number of innovative exercises are introduced. 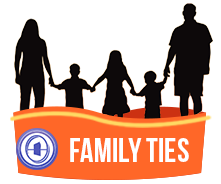 Tuition includes the Family Ties Manual and a certificate upon completion.